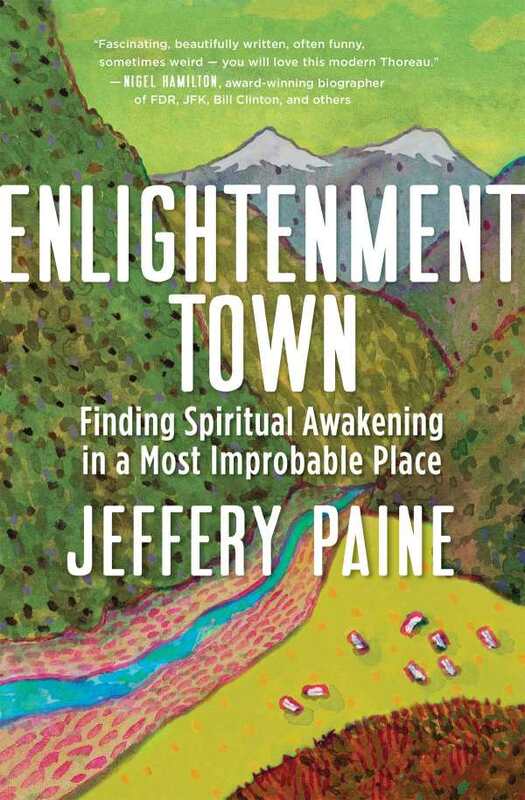 Jeffery Paine’s Enlightenment Town is a witty, in-depth exploration of a unique place and its spiritual inhabitants. It doubles as a humorous and enlightening look at the world’s religions, many of which are represented in Crestone, Colorado, a mountain town where faiths exist harmoniously, side by side. With people from twenty-five religions living in its tiny confines, Crestone emerges as a religious haven—created, some say, due to a vision. Others claim that the physical energy of the town itself drew outsiders in. A unique cast of characters now share in Crestone’s harsh weather, mountain air, and obscurity, and their interesting histories are shared here, including how they made their way to this extraordinary place. They include Father Dave, who practices as both a Christian and a Buddhist, despite variations in the traditions’ structures. One of the book’s persistent themes is the opening up of discussions and the equal exchange of ideas. It exemplifies the idea of a postreligious worldview. The idea of spirituality without religion is embraced, as is morality without guilt. Paine’s book captures meaningful conversations with Crestone’s residents sans judgment or bias of any kind. The result is an open-minded survey of religion and spirituality doubling as a loose how-to guide for anyone looking to undertake their own particular spiritual journey or religious experience. Enlightenment Town is a lively discussion of religion that every person of faith should participate in. It poses and answers questions, sets up metaphorical reactionary situations, and encourages living with acceptance of others, regardless of what they believe.